HTC Corp is marketing a new smartphone that can take four digital photos per second, a model the Taiwan maker hopes can help reverse its falling revenue amid keener competition. The company unveiled on Monday the HTC One X. It allows users to snap pictures while watching videos or movies. HTC executive Jack Tung said the model integrates various consumer demands while maintaining its user friendliness. He said the quad-core phone with a 4.7 inch screen will be a chief revenue generator, judging from a strong pre-order response. It runs on Android's latest " Ice Cream Sandwich" operating system and sells for $705. 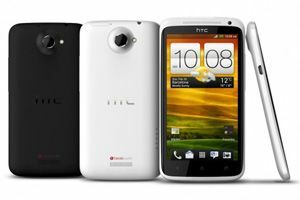 HTC has reported a 26 per cent profit drop in the final quarter of 2011 and expects revenue to fall in the first quarter of 2012.